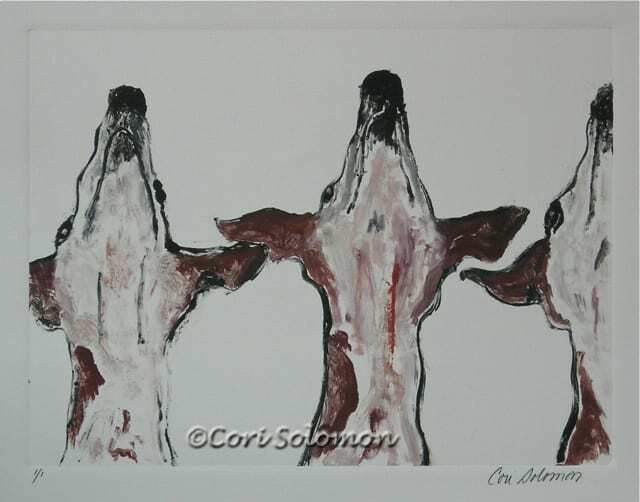 This Monotype of Whippets is a fun and sort of humorous piece. Like all Sight Hounds, Whippets love to raise their heads and howl like they are singing in a chorus. These three Whippets are doing just that. 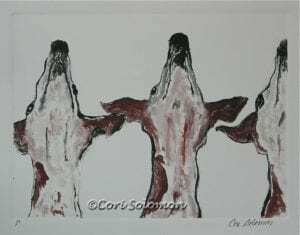 This Monotype of Whippets in 2011 won second place in the Hand Pulled Print category at The Dog Show At The Dog Show.